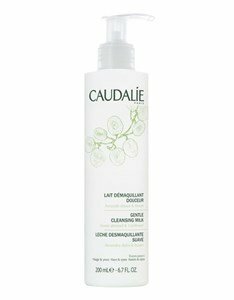 This smooth and velvety cleansing milk, cleans and removes make-up of the face and eyes, even on the most sensitive skins. Rich in nourishing and soothing agents, leaves skin clean, soft and comfortable. Shea butter from Africa, able to repair and nourish your skin. For mixed skins, Gentle Cleansing milk can be mixed with cleansing foam Flower vines, before cleaning with water. For dry skin, the Gentle Cleansing Milk can also be mixed with the Gentle Exfoliating cream, for a clean and gentle exfoliation in a single step. Morning and evening, apply on face and eyes with a cotton. With or without rinsing. Hypoallergenic. Non-comedogenic. Suitable to all skin types. High tolerance formula, dermatologically and ophthalmologically tested.